London based 1080 Media TV were chosen as the Host Broadcaster for the prestigious 2018 International Table Tennis Federation Team World Cup event, following the success of their coverage of Table Tennis England’s international matches and national championships through 2017. The event at the Copper Box Arena in the Queen Elizabeth Olympic Park, London, from February 22-25, saw the top nations competing for the title and 270,000 USD prize money, with the very best men’s and women’s international players in the world competing for their country. The event was last staged in 2015 in Dubai, and it is the first time that England has won the right to host this level of competition (outside of the 2012 Olympic Games) for over 20 years. The team at 1080 Media TV set out to provide world class coverage to match the standard of competition, with over 100 countries, including CCTV in China, expected to air the live coverage for up to 10 hours a day over four days. Additionally, TV Tokyo from Japan wanted to pro duce their own personalised coverage of the event each day, given the popularity of the sport in Japan. As Host Broadcaster, 1080 Media TV managed their complex requirements also, coordinating all of their facilities in London and providing additional crew to supplement the 37 attending from Japan. 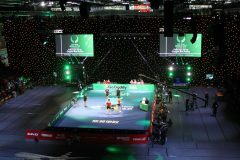 Four courts were built for the opening two days of the event’s group stages, with the main show court being covered exclusively by 1080 Media TV as host, and Table 2 covered by TV Tokyo with a further 10 cameras, and where the Japanese matches were played in the first two days. The ITTF also streamed tables 3 and 4 to their itTV.com platform with a single camera, in addition to the multi-camera coverage from Tables 1 and 2. In the UK, the BBC Sport website and Connected TV showed the England group matches played on the center court, and there was success for England’s men as they advanced to the quarter final knockout stage, while England’s women were eliminated in their group. All matches now focused on the center court for the final weekend, with TV Tokyo supplementing the 11 cameras on the sole remaining court with a further 4, enabling the Japanese director to alternate from the world feed with customized coverage for the audience watching live in Japan. Facilities for the event which required 4 super-slow mo cameras with 80x lenses on each court, were supplied by Timeline TV. Their impressive UHD 2 outside broadcast unit was used for the host broadcast team, and their OB16 unit for TV Tokyo. 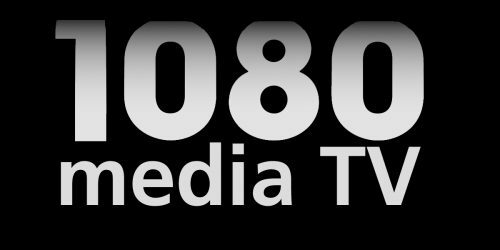 1080 Media TV CEO Cliff Webb said, ‘‘The Timeline TV facilities were first class, and the guarantee crew and team they supplied were excellent. As Executive Producer, it meant I could focus on the quality of the production rather than the technical aspects, and manage the coordination with the different levels of management and stake holders involved in an event of this scale’’. Esports company ESL were contracted to manage the complex broadcast graphics required for both broadcast teams. Sam Deans, ESL Executive Producer said, ‘’we were thrilled to be able to offer our services. Being native to the esports and gaming industry, it was a clear measure of how far esports broadcast production has evolved, as we were able to execute this to the high quality demanded. We were very impressed by 1080 Media TV’s level of production, and can’t wait until the next time our services can be utilised’’. Host nation England succeeded in advancing to the semi-final stage in the men’s competition ensuring them of a precious Bronze medal, but their progress was halted by the number one ranked nation, China, who faced off against Japan in a tense final. With a full house at the Copper Box arena, China’s women defeated Japan in their final, and their men’s team repeated the achievement in a thrilling contest. With translated on court interviews after each match, and 15 cameras around the court including 2 miniature cameras mounted on the table for a unique view of the action, together with a 6m jib roaming above, the coverage of this top class action was comprehensive for broadcasters around the world. 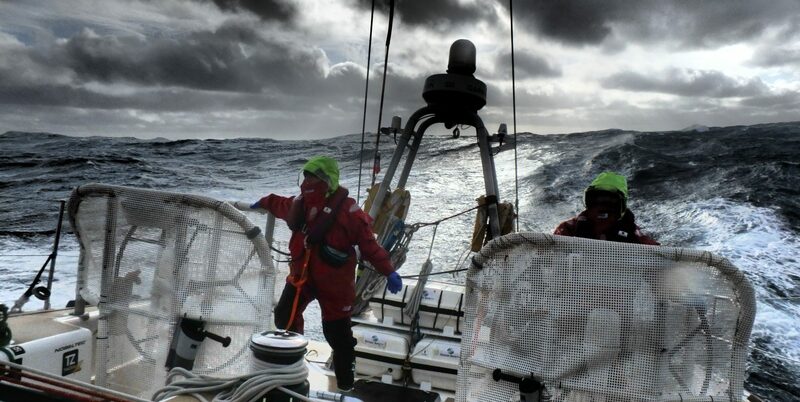 Cliff Webb of 1080 Media TV said, ‘‘Together with the Japanese, our crew totaled 98 people working long days on this event, which demanded substantial coordination and planning to deliver what proved to be a multifaceted production. We enjoyed fabulous cooperation with the ITTF and Table Tennis England staff, with Lagadere’s satellite coordination, the army of volunteers, and the team at the Copper Box Arena. Our thanks to everyone for their support and dedication in helping us produce another world class TV production’’. Next PostNext 10 YEARS OLD….